Our reporters have experience in both deposition and court settings, having reported court trials, jury trials, preliminary hearings, and depositions relating to fields of medicine, asbestos, and other technical reporting. Our particular areas of expertise include reporting medical and technical depositions, hearings, arbitrations and jury trials. Red Bluff Reporters is a full service court reporting firm. 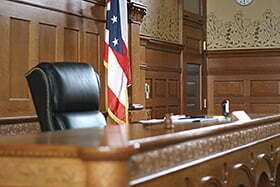 We report depositions, arbitrations, IMEs, court hearings/trials; if it’s reportable, we do it! Not sure where to set a deposition in Northern California? Need a videographer or interpreter? We cover a large area and will be happy to help you make your arrangements. We pride ourselves on a top quality work product. Our reporters consist of Registered Professional Reporters and Certified Shorthand Reporters, with experience in all areas of litigation.